We don’t just eat food because we like it, we like it because we eat it! Genetic influences play a surprisingly small role in food preferences. We are born with an innate like of sweetness and a dislike of anything sour or bitter. These taste preferences have evolutionary roots that date back to our hunter and gatherer days. We are predisposed to like sweet and ripe foods, such as fruits because they are a good source for nutrition and energy plus ripe fruits are naturally sweet and are generally safe to eat. Bitter tastes, on the other hand, are common in plant toxins, so we are hardwired to detect and dislike them. We are also built to favour fatty food for their high calorie count, which provides us with energy. 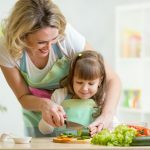 The food preferences we develop in our lives are mostly learned and they can begin before we are even born (flavoured by mother’s dietary habits through amniotic fluid and breast milk). After birth, our preferences continue shaping for the next two years. From birth until the age of 2 we will eat almost anything but then we find new foods disagreeable. 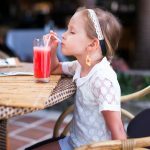 So, if you hadn’t already been exposed to a certain flavour by the time you hit your terrible twos — whether through amniotic fluid, breast milk or solid food — chances are you won’t like it. 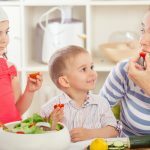 At this point, most parents make a big mistake and think that their children doesn’t like certain foods, but really it is anything new they don’t like. Parents typically stop trying to feed their child that food and the youngster ends up apparently hating it for years to come. However, you’ll like a new or previously hated flavour if you’re repeatedly exposed to it — studies suggest that it takes 10 to 15 exposures. The key, then, is to make the food not new. While some parents will throw up their hands because this effort seems overwhelming, keep an open-mind. It isn’t necessary to create a dinnertime battle, just keep offering small amounts of the new food and ask that they try, “just one bite” each time. If this still seems impossible think back. 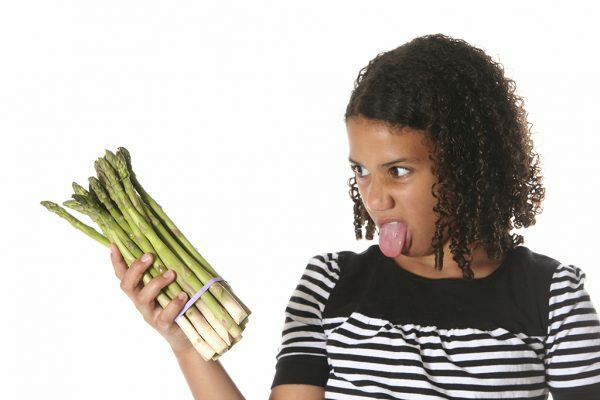 Do you recall foods that you used to hate as a child but grew to love? We don’t just eat foods because we like them, we like them because we eat them! If you don’t like something, simply eat it over and over again and eventually, you probably will!